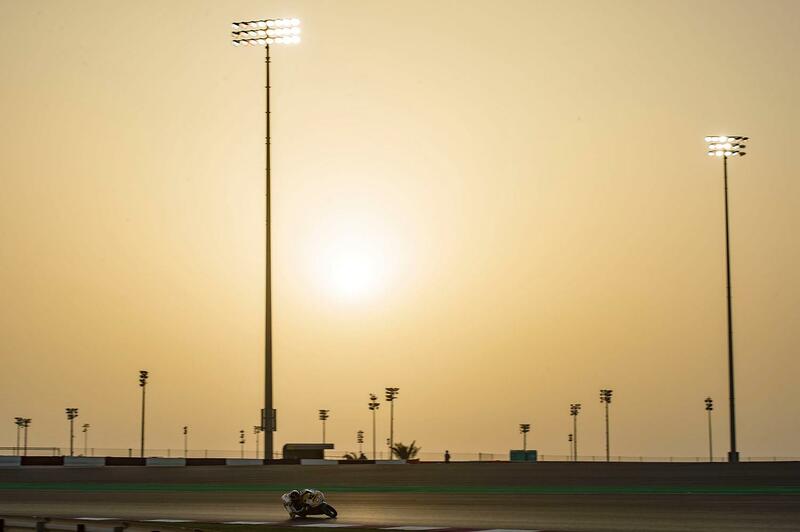 Juanfran Guevara has topped the final day of Moto3 testing at Losail, finishing 0.1 ahead of Ayumu Sasaki but unable to beat Romano Fenati’s times from yesterday as high winds hit the Qatari circuit. With a severe weather warning in place for the evening’s action, it was initially doubtful whether the field would even take to the track, but with the rain arriving later in the night they managed two sessions, with Guevara only 22 laps before the rain eventually struck. 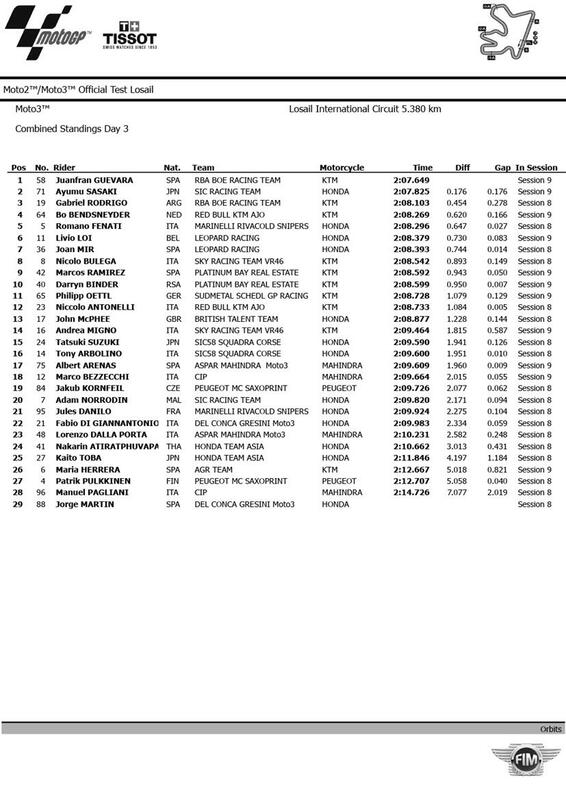 Gabriel Rodrigo was third, ahead of Red Bull Ajo KTM rider Bo Bendsneyder, with fastest man overall Fenati fifth, over a second quicker yesterday. Scotsman John McPhee was once again knocking on the door of the top ten in 13th, finishing the three days 12th overall and confident that the British Talent Team have found a base setting for next week’s race on their factory Honda.